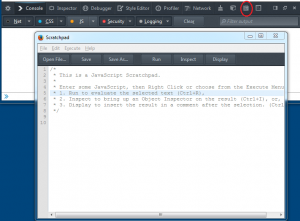 1) Open a new tab in Firefox and in the URL bar, and enter about:blank to display a blank tab so that you can see what you are doing. 3)A new Web Console window will open. 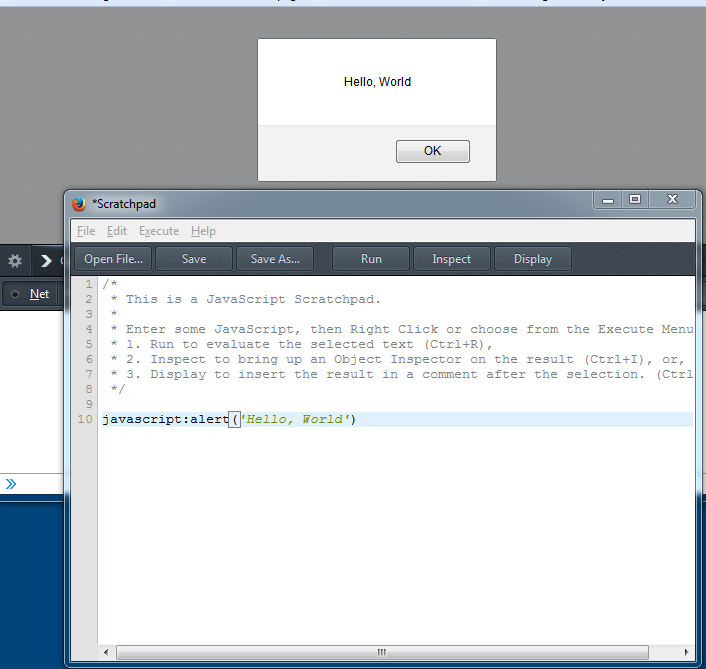 From the Web Console window click the JS button on the toolbar. 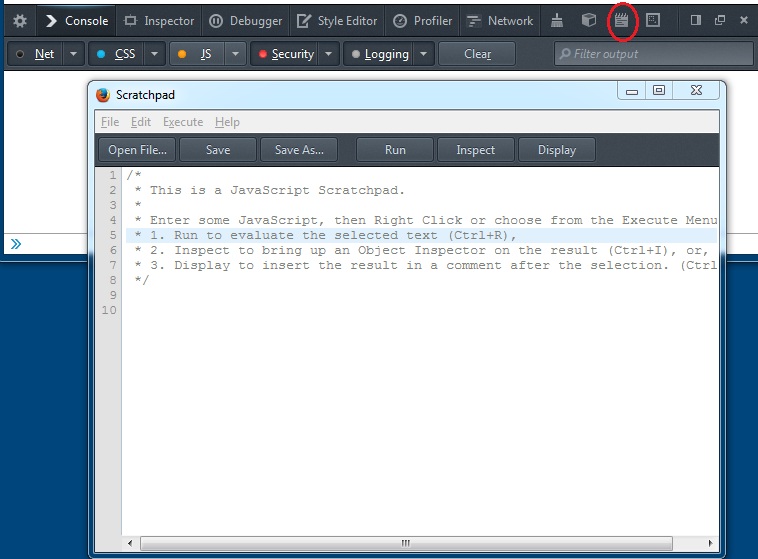 4)From the Web Console window click on the Scratchpad icon in the toolbar. The Scratchpad icon looks like a notepad. The snippet doesn’t seem to work with single quotes around the string.